4 Takeaways from Mike Quigley'.. 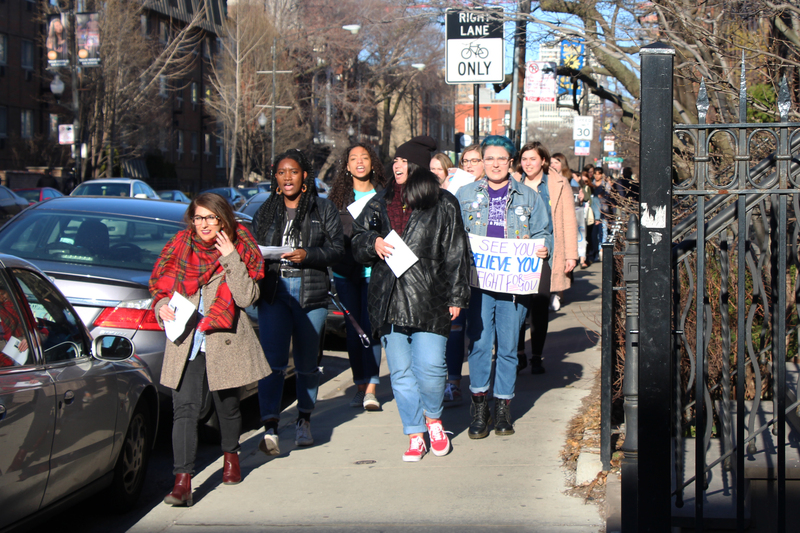 Residents, Experts Weigh In on..
Crowding the sidewalks around the Lincoln Park campus, students, faculty, staff, and supporters marched in support of sexual assault survivors and created a space to call for change in society’s view of sexual violence. 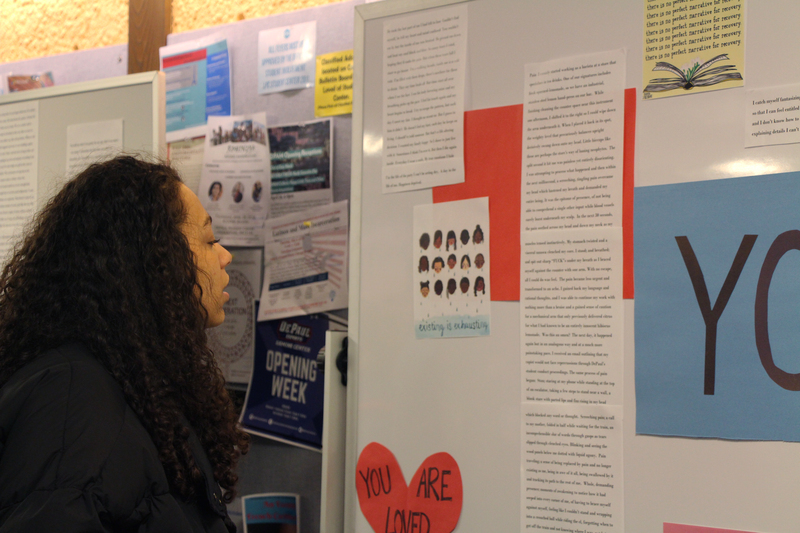 Early Wednesday, boards were set up in the Schmidt Academic Center (SAC) that featured artwork, words of support and the stories of survivors. Later in the evening, the event began with representatives from different organizations sharing their stories with sexual violence and offering support to any survivors who sat in the small crowd in front of the Bean. Take Back the Night first came to the United States in March of 1976, with women taking to the streets in order to protest the violence that women face particularly after dark. Today, it is estimated that one in three women will come into contact with some form of sexual violence during her life. 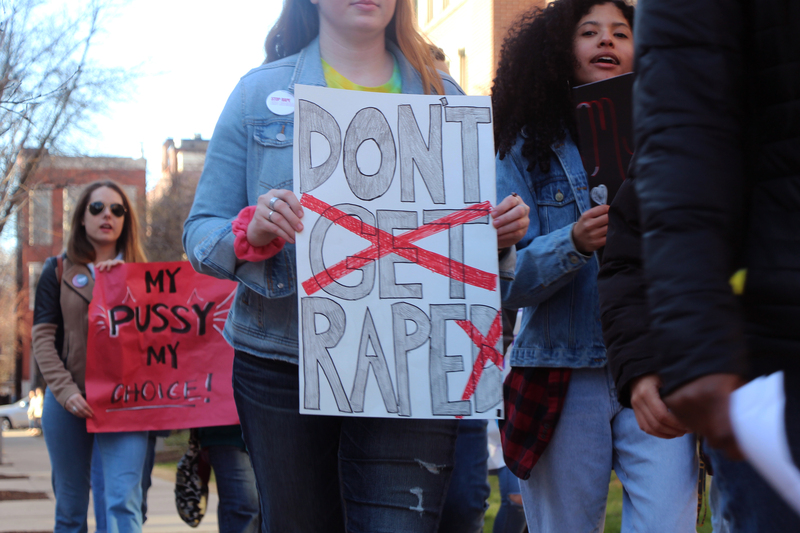 However, DePaul’s event was focused on the violence against people other than women — including sexual assault and domestic violence that takes place against men, trans and non-binary persons. When it came time to march, the group lined up and took to the crowded sidewalks around campus during rush hours. Carrying signs and yelling chants to end different societal stigmas surrounding sexual assaults such as “hey hey, ho ho, sexual assault has got to go,” the march wound its way across the campus and even through University Hall before finally ending at the Arts and Letters Hall. There, organizers offered healing circles for the protesters in an effort to decompress and come together as a community. 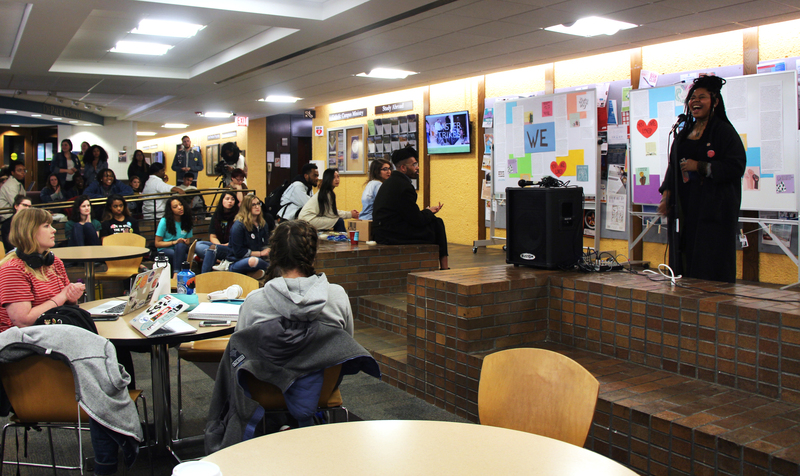 The collaborative event was put together by the Women’s Center, Health Promotion and Wellness, Students for Reproductive Justice, Fraternity and Sorority Life, and Advocates for Sexual Assault Prevention. Together, they brought a diverse group from the DePaul community together to take part in the march. 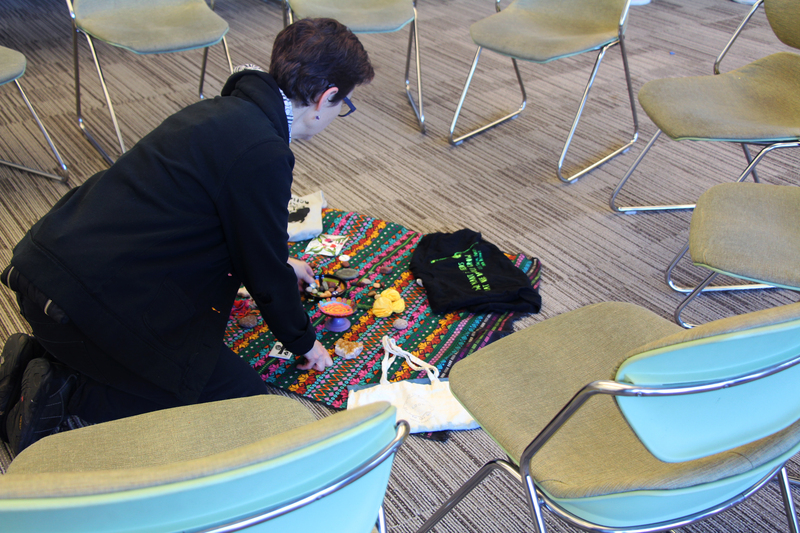 A volunteer helps to set up the necessary items for the healing circles that took place after the march in order to give protesters an emotional outlet. 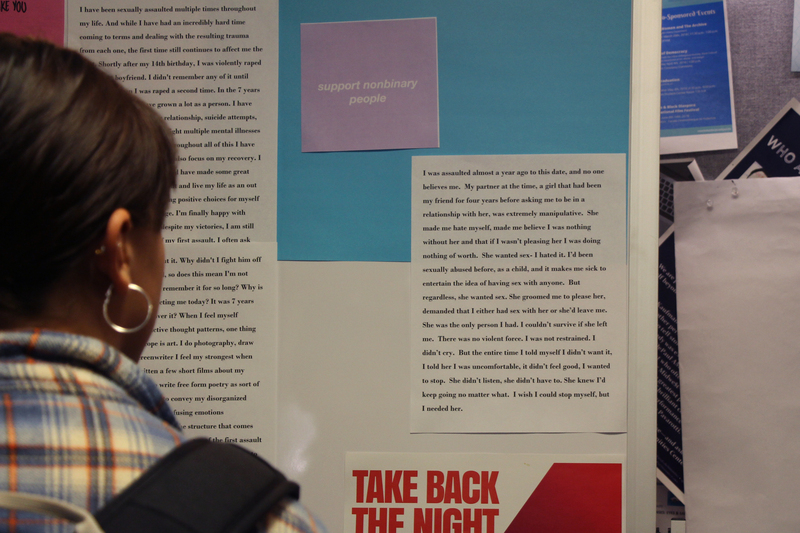 Before the march began, protesters took time to read and reflect on the anonymous stories that had been submitted to the storyboard. Students hold signs that echo common Take Back the Night sayings as they make their way across campus during the march. Before the march, members gathered together to listen to speeches by different representatives and people who wanted to share their stories as a part of the “Speak Out” portion of the event. Wearing the pins with pride, student Grace Jacques kept an assortment of buttons on her jean jacket before the march began, showing solidarity with both survivors and Planned Parenthood. 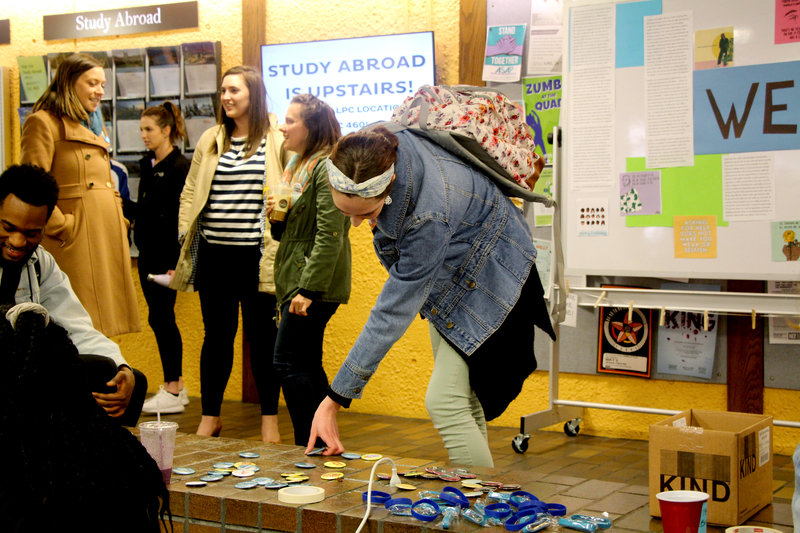 A student picks from an assortment of free buttons with simple sayings to wear before the event takes place.